Portuguese Finance Minister Mário Centeno became the new president of the Eurogroup on Monday (5 December), with a promise to bring consensus across the aisle to strengthen the eurozone. Speaking to reporters after his election by the 19 finance ministers of the eurozone, the Harvard-educated economist portrayed himself as a consensus builder. Centeno, described by former German Finance minister Wolfgang Schäuble as the ‘Cristiano Ronaldo’ of EU finance ministers, came first after several rounds of voting, ahead of Luxembourg’s Pierre Gramegna, Slovakia’s Peter Kazimir and Latvia’s Dana Reizniece-Ozola. 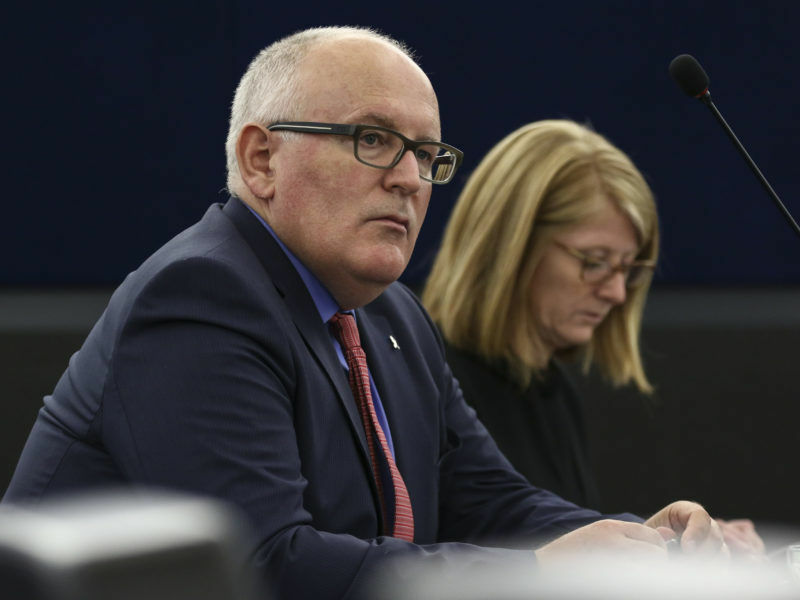 He will be the only Socialist among the holders of top EU presidencies. “It is an honour due to the relevance of the group, the quality of my colleagues, and the job we have to carry out over the next years”, Centeno said in his first press conference as Eurogroup president. His nomination represents the latest in a string of victories for Portugal over the last couple of years. The country grabbed international attention after wining the European football championship, Eurovision and bagging the post of UN secretary-general for its former prime minister Antonio Guterres. 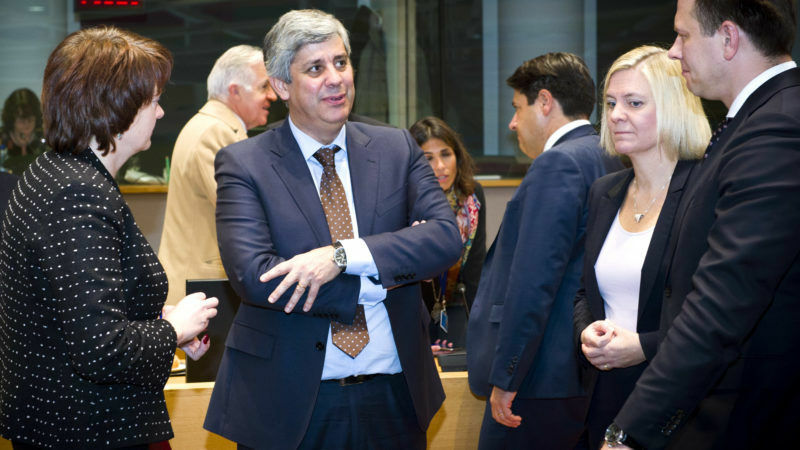 Centeno’s two main priorities over the coming months will be to strengthen the economic and monetary union and successfully conclude the third Greek bail-out programme next summer. “We have to follow a path that strengthens the euro area,” he said on Monday. And the only way to advance is by generating consensus, a point he repeated in almost every sentence. 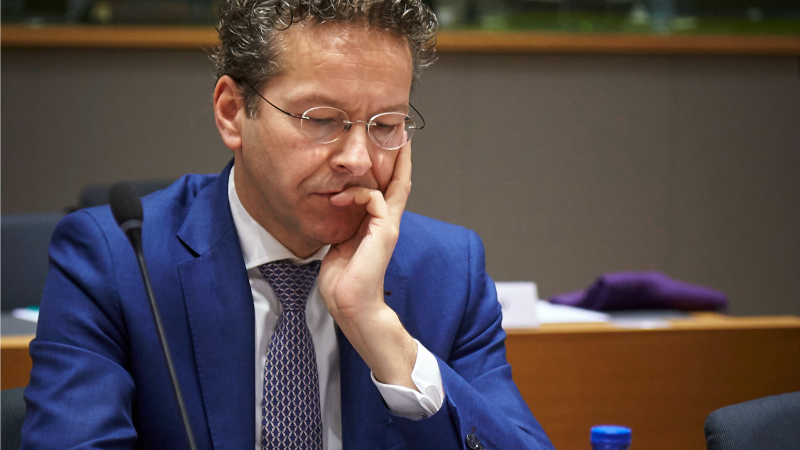 Eurogroup chief Jeroen Dijsselbloem on Wednesday (22 March) expressed “regret” over his comments that southern European countries blew their money on “drinks and women” but rejected calls to resign, despite a growing chorus of indignation. Outgoing Eurogroup President Jeroen Dijsselbloem’s only advice to the newcomer was precisely that: to be a consensus builder. 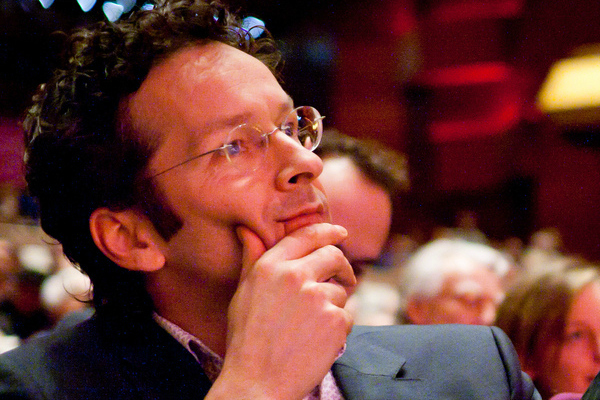 Dijsselbloem will remain in the post until 13 January. The Dutch politician singled out his first months during the Cypriot rescue programme in 2013 and the negotiations on the third Greek programme during the summer of 2015 as his toughest moments in the job. “My communication at that time could have been better,” he said recalling the criticism he received for suggesting the Cypriot bail-in option as a ‘template’ for future programmes. But “on the substance it was the right decision”. Having stirred a controversy by saying that the Cyprus bailout was a template for resolving banking problems in the Union, Eurogroup chief Jeroen Dijsselbloem said on Tuesday (26 March) there were no apparent signs of increased withdrawals of savings within the single currency zone. Centeno convinced his colleagues by promising to be more than the candidate of the Southern member states, where solidarity among countries takes precedence over fiscal discipline. He also argued that he would bring “all the ideas to promote inclusive growth and prosperity” and to end the strict budgetary control of recent years. He will have little time to find his feet in his new job as the European Commission will present on Wednesday its package of proposals to deepen the economic and monetary union, and the leaders of the eurozone will hold a summit on 15 December. One of the EU executive’s proposals will be to set up the post of EU minister for economy and finance, a role that would combine the powers of the Eurogroup president and Commision’s vice-president for the economy. Initiatives to strengthen the financial markets and deepen the economic and monetary union will play a major role in the European Commission’s work programme for 2018, the final one before the legislative machine slows down in the run-up to European elections in 2019. Commissioner for Economic Affairs Pierre Moscovici, a staunch defender of the ‘superminister’ position and a candidate himself, said that he was “very happy” with Centeno’s election and he had his “full support”. 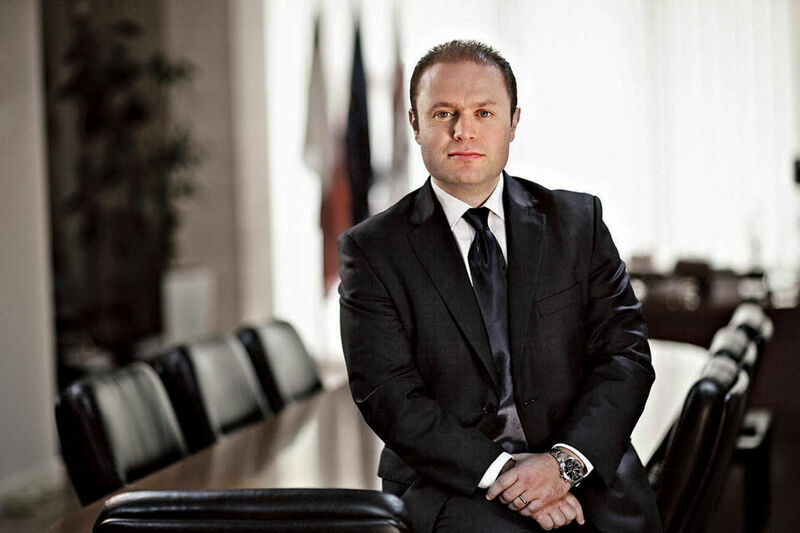 Although he insisted that he hoped to see the creation of such a post “as soon as possible”, he admitted that it would not happen during his mandate as Commissioner. Since Centeno became finance minister under the Socialist government of António Costa in November 2015, the Portuguese economy has delivered a strong recovery. The country not only successfully concluded its bailout programme but also exited the EU’s excessive deficit procedure, recovering investors’ trust. 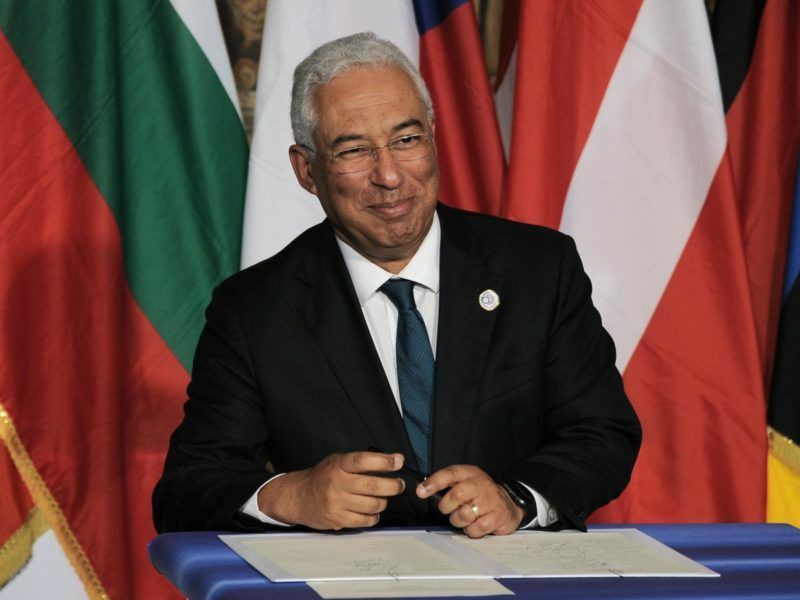 While the European left is largely struggling where it holds power, Portugal’s government alliance stands out as a remarkable exception. It is raising wages and gaining popularity as well as delivering the lowest budget deficit in living memory. The managing director of the European Stability Mechanism, Klaus Regling, said on Monday during the same press conference that Portugal is “one of the success stories” of the recovery, and Centeno “played a strong role on that”. Centeno will also become the chair of the board of governors of the ESM, formed of eurozone finance ministers. Centeno was praised by his colleagues. Spain’s Economic Affairs Minister Luis de Guindos described the Portuguese minister as a “good economist, who knows well the challenges of the eurozone”. Despite being members of different political families, Guindos voted for Centeno due to the solidarity between the Iberian neighbours. Guindos, who ran against Dijsselbloem in 2015 and is the most senior minister among his eurozone colleagues, is eyeing the vice-presidency of the ECB. On his way into the Eurogroup, he said he was “convinced” that the post would go to Spain because “we deserve it” and the country is “underrepresented” in Europe’s top posts.